As per the Oral Health Foundation, teeth whitening is an effective approach in lightening the teeth’s colour without scraping off the surface of the teeth. There are various reasons why a person would want to undergo teeth whitening services in Sydney. For one, smiling confidently with pearly, white teeth is very appealing. In addition, it can make a person look younger without spending that much. Only a few people have managed to maintain their natural, brilliant-white teeth. For others, teeth discolouration can be caused by ageing, stains from food and drinks, smoking, tartar and certain antibiotics. In a research conducted by Colgate, more than half of the surveyed Australian women are more interested in teeth whitening services in Sydney than cavity and plaque prevention. If you are keen on having your teeth bleached, here are teeth whitening Sydney businesses that can help you out. Dental Lounge offers a quick and highly effective teeth whitening services in Sydney so that patients will have the pearly, white teeth they so desire. From all the bleaching systems available, the clinic opt for the in-office Zoom whitespeed teeth whitening approach, and provide such service for only $595. The clinic employs the latest technology and treatment not only in teeth whitening, but also in aesthetic and general dentistry. For instance, Dental Lounge has or utilise dental microscopes, computer aided crown and ceramic fillings, ozone therapy, digital photography, and intraoral camera. In terms of their customer service, the patients love how professional and skilled the clinic staff and dental professionals are. Moreover, they always assure that their patients are relaxed before, during and after being serviced. Dental Lounge has set a pleasant atmosphere by installing television sets in each room and a fish tank at the clinic’s office. Clear Dental is dedicated in giving quality and thorough dental care to everyone. As part of their mission, the clinic spare no effort into bringing the best treatment in their practice, together with helpful information that will aid patients in making wise decisions on their tooth problems. Moreover, Clear Dental strives to provide a dental experience to the highest standard through accountability, honesty, professionalism and friendly, personal services. Among their services include general, cosmetic, restorative and surgical dentistry. Clear dental is also the trusted provider of teeth whitening services in Sydney at an affordable price. They offer Zoom laser whitening procedure and in-surgery, teeth whitening approach to their patients. Sydney Dental Health is steadfast in providing excellent dental care possible to their patients. They do this by using state of the art equipment and the latest innovations in dental practice, by employing good customer service practices, and by instituting a welcoming and relaxing atmosphere in their clinic. They take pride in encouraging their patients to have a positive perspective regarding their dental health. Moreover, they are notable for their honest, valuable and one of a kind dental service and care. Among the range of services they provide are general and aesthetic dentistry, root canal treatment, wisdom teeth removal and teeth whitening services in Sydney. For only $595, Sydneysiders can undergo Zoom teeth whitening treatment, which is guaranteed to be safe, simple and effective. Teeth whitening trays are also available for $395. Sydney CBD Dental boasts its Quality Innovation Performance dental practice accreditation. They believe that the smile is an important element that makes up a long-lasting impression. With that, Sydney CBD Dental made it their life goal to provide the best oral health care possible. Their services include oral hygiene, dental implants, orthodontics, TMJ treatment, endodontic treatment and teeth whitening Sydney procedure. For those who hate their stained teeth, the clinic offers teeth whitening treatment for only $650 using Zoom laser teeth whitening. Sydney CBD Dental’s dental practitioners also give free professional advices to their patients on how they can make healthy tooth resolves. 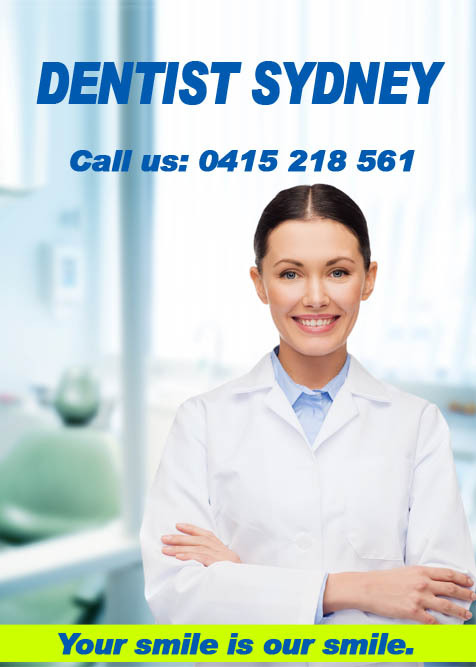 Quay Dental is a modern dental practice situated at the heart of Sydney. They specialise in general, surgical and aesthetic dentistry for everyone. Their practice is known to provide a lively and positive environment while attending to the oral needs of their patients. By using the latest technology and dental equipment, patients are assured that their visits are always safe and pleasant. Quay Dental also offers teeth whitening Sydney treatment so that everyone in Sydney will have that dazzling, bright smile. Moreover, the practice promises on-time appointments, gentle treatment, flexible payment options, and a relaxed atmosphere. ©2015 Dentist Sydney. All Rights Reserved.